The New York Knicks have been a polarizing team this season. The Knicks have the largest media coverage in the country due to being located in New York City. Little happens that takes place on this team that goes unnoticed by the NBA audience. 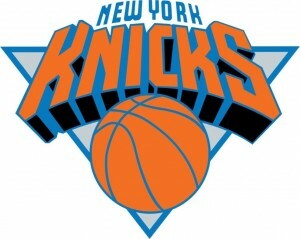 The Knicks have a prestigious history as one of the first professional teams in the United States. The Knicks and the Boston Celtics are the only two teams in the league that are in the same city that they started in. Since the Knicks were one of the original teams, they started off with success as a franchise. They qualified for the playoffs their first three seasons. The Knicks then went to the NBA Finals three years in a row after their first three seasons, but they failed to win a championship. The Knicks were a constant playoff team from the 40’s until the 60’s, but in the 70’s the Knicks were able to become a championship team. The Knicks won two championships in the 70’s under the coaching of Red Holzman and the heroic playing of Willis Reed. After there two championships, the Knicks began to fall off the map as a perennial playoff team partly due to the retirement of Willis Reed. The team struggled through the later half of the 70’s and first half of the 80’s until the Knicks drafted Patrick Ewing. Ewing gave the team stability as a franchise. The team never won the championship with Ewing, but they were constantly a threat to win it all. The Knicks struggled to be a playoff team in the seasons after Ewing retired in 2008. They lacked a franchise player to give them the leadership and national credibility. That changed in 2010 and 2011. The Knicks were hoping to sign free agent LeBron James who was considered the best player in the league. LeBron decided to take his talents to Miami, but the Knicks were able to sign another superstar Amar’e Stoudemire who had helped lead the Suns to be one of the best teams in the West. The Knicks had their best first half of the season in a decade, but they were not playing at the high level they wanted to be playing. This led the Knicks traded six of their best players to acquire league superstar Carmelo Anthony and championship player Chauncey Billups from the Denver Nuggets. The Knicks now had two superstars in Carmello and Stoudemire not to mention Billups. These three players were supposed to be the counter to Miami’s “Big Three.” The Knicks went on to qualify for the playoffs with a winning record. Neither of these things had been done by the team in nearly a decade. The Celtics were an aging team, and the Knicks were a newly assembled team on the rise. Despite this the Celtics swept the Knicks from the playoffs in the first round. The Knicks decided to part with Chauncey Billups in the offseason in a hope to sign defensive player Tyson Chandler who helped lead the Mavericks to a championship. The Knicks ended up signing Chandler, but they struggled to start the season. The Knicks were desperate at 8-15. The Knicks were not playing well and had injuries. They were forced to play third string point guard Jeremy Lin. Jeremy Lin was going to be cut from the team in the next few days, and he was so unsure of his place on the team that he did not get his own place to stay. Lin was staying on teammates couches. That was until Jeremy Lin started a Knicks revolution. Jeremy Lin led the Knicks to seven straight wins despite Carmelo and Stoudemire being injured. Lin was scoring at a high rate and giving assists to teammates at a record setting level. Lin became one of the leaders in league history for most points and assists in the first seven starts in their career. Lin hit a game winning shot against the Toronto Raptors. Lin also out dueled the leagues leading scoring and one of the all time greats Kobe Bryant in one game. Jeremy Lin captivated the nation in a powerful way. Some people were worried about how Lin would play when Carmelo Anthony came back from injury. People had reason to worry because after the amazing run Lin had to get the Knicks back in the playoff hunt, the Knicks and Lin struggled again after the return of Carmelo. The drama has not ended yet in New York City. The Knicks coach, Mike D’Antoni, retired after the Knicks fell out of the playoff race yet again. The Knicks have since rallied to win the first five games under their new coach Mike Woodson to put themselves back into the playoff picture. Only time will tell where Lin, Carmelo, and Stoudemire will take the Knicks the rest of this season and in the years to come.